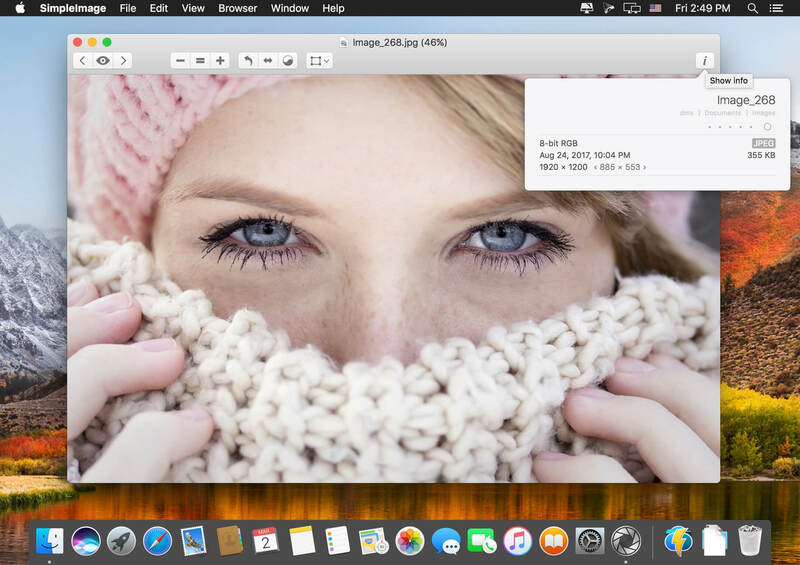 SimpleImage is a full-featured media viewing, cataloging and slide show application, updated to take full advantage of macOS. View all the most common kinds of images & movies in a single app and display them in slideshows. Catalogue your images & movies with browsers and restore windows just the way you left them with snapshots. 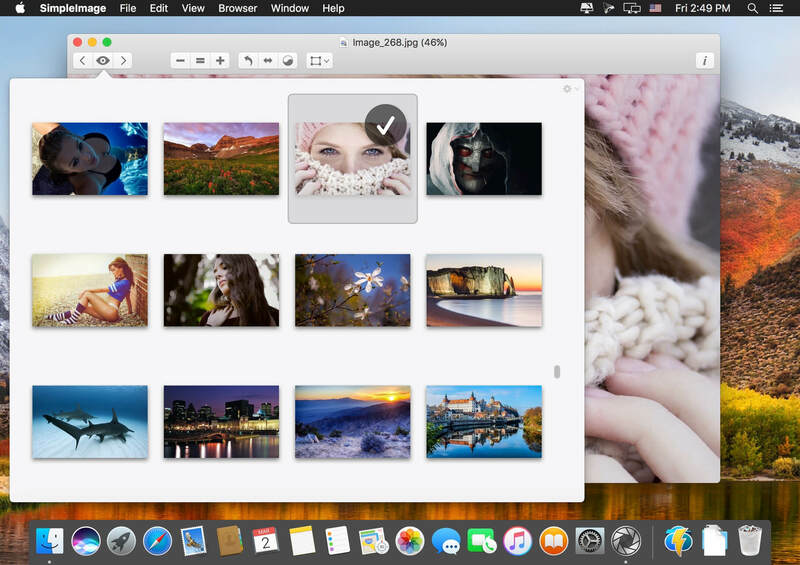 Retrieve files easily with searchable thumbnails of as many as the last 1,000 items you've viewed. Correct your images by applying sophisticated, non-destructive adjustments and effects to them. Print images with automatic cropping and selection tools tailored to match common photo paper sizes. 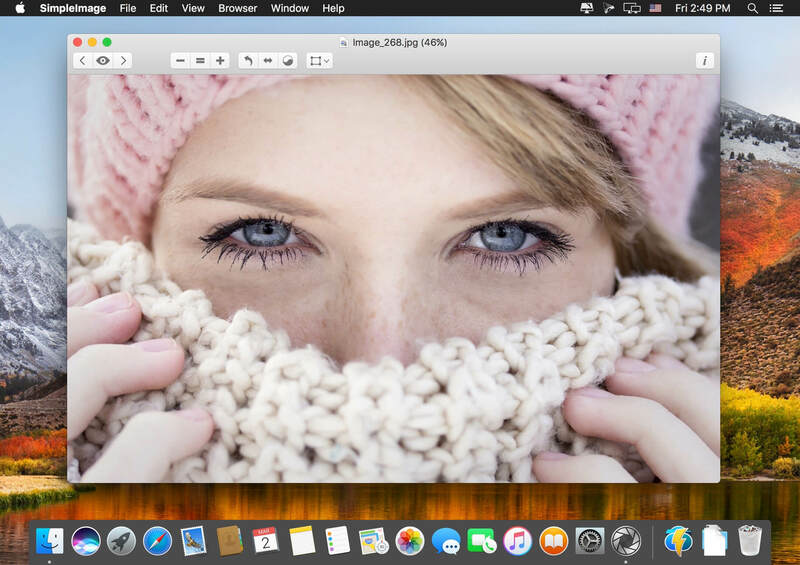 Export in a variety of formats and preview image compression options when preparing images for the Web.